Yes, LEGO is my son's thing - but organization is mine. Aside from stepping on little pieces of plastic and coming to an abrupt halt midstream when I'm vacuuming, I have no problem with LEGO. Well, wait ... maybe one little problem ... organization. 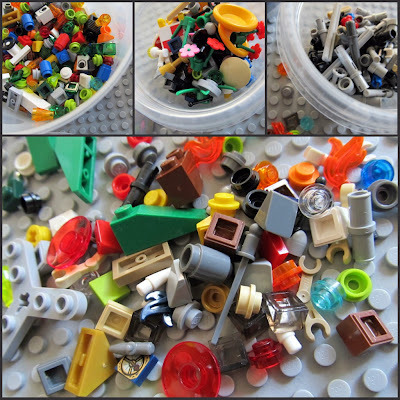 The majority of his LEGO pieces are nicely organized in plastic bins by color, but these tiny ones always seem to end up in a mish-mash of tiny containers and baggies. There has to be a better way to store the smaller LEGO pieces that will be easy enough for my son to keep up and satisfy my desire for organization. These are not the average LEGO pieces - these are the teenie-tiny ones. The ones that are so hard to find when needed for the finishing touch on your LEGO masterpiece. Last week I found some great plastic stacking containers in the dollar bins at Target. I had an idea - these just might work for the small LEGO pieces. I made it sound like a fun project and let Dylan pick out the colors he wanted. Yes, this may have been a little deceitful, but it worked. Once we got home, I got to work on sorting and organizing. No more little LEGO pieces jumbled together. Now each one has a home. Stacked neatly together in child approved colors. 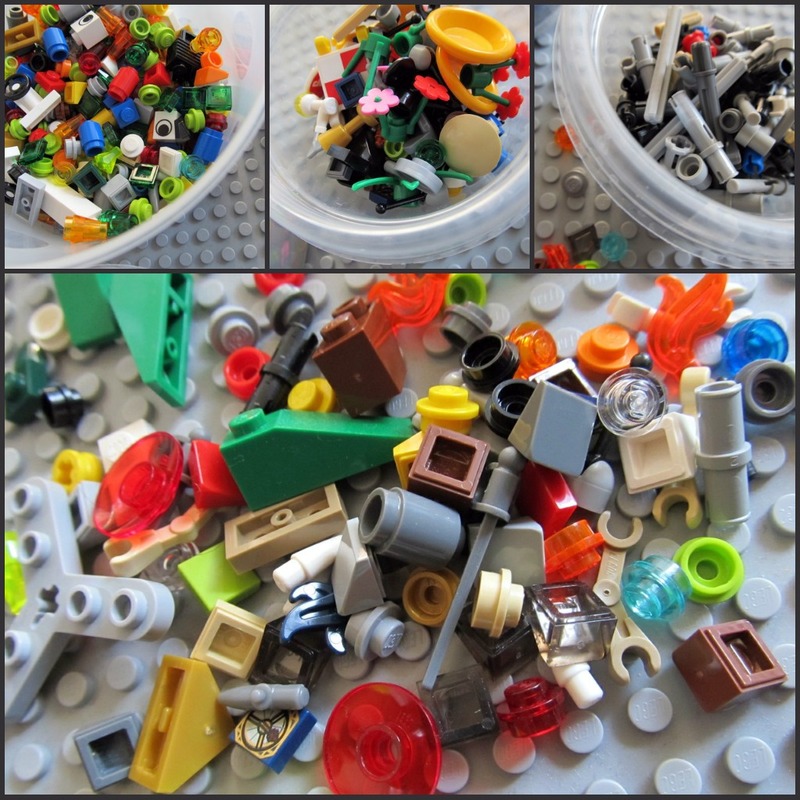 How do you keep your LEGO pieces organized? Some days it's all about having fun! Life with Dylan has a new look!